It is already common knowledge that individual investors do not usually have the necessary resources and abilities to properly research an investment opportunity. As a result, most investors pick their illusory “winners” by making a superficial analysis and research that leads to poor performance on aggregate. Since stock returns aren’t usually symmetrically distributed and index returns are more affected by a few outlier stocks (i.e. the FAANG stocks dominating and driving S&P 500 Index’s returns in recent years), more than 50% of the constituents of the Standard and Poor’s 500 Index underperform the benchmark. Hence, if you randomly pick a stock, there is more than 50% chance that you’d fail to beat the market. At the same time, the 15 most favored S&P 500 stocks by the hedge funds monitored by Insider Monkey generated a return of 19.7% during the first 2.5 months of 2019 (vs. 13.1% gain for SPY), with 93% of these stocks outperforming the benchmark. Of course, hedge funds do make wrong bets on some occasions and these get disproportionately publicized on financial media, but piggybacking their moves can beat the broader market on average. That’s why we are going to go over recent hedge fund activity in IDEXX Laboratories, Inc. (NASDAQ:IDXX). Is IDEXX Laboratories, Inc. (NASDAQ:IDXX) a great investment now? The smart money is in a bearish mood. The number of bullish hedge fund positions retreated by 2 in recent months. Our calculations also showed that IDXX isn’t among the 30 most popular stocks among hedge funds. IDXX was in 33 hedge funds’ portfolios at the end of the fourth quarter of 2018. 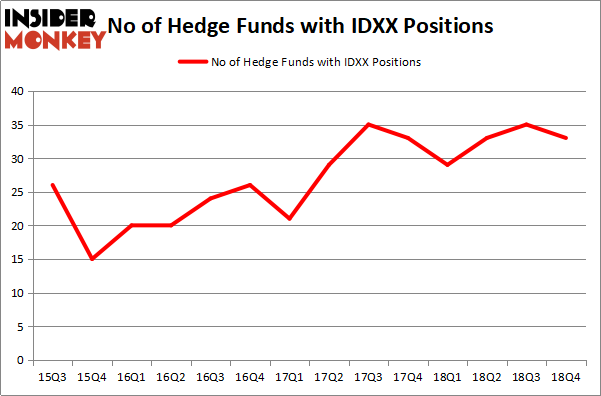 There were 35 hedge funds in our database with IDXX holdings at the end of the previous quarter. Let’s view the new hedge fund action regarding IDEXX Laboratories, Inc. (NASDAQ:IDXX). How have hedgies been trading IDEXX Laboratories, Inc. (NASDAQ:IDXX)? At the end of the fourth quarter, a total of 33 of the hedge funds tracked by Insider Monkey were long this stock, a change of -6% from one quarter earlier. By comparison, 29 hedge funds held shares or bullish call options in IDXX a year ago. So, let’s examine which hedge funds were among the top holders of the stock and which hedge funds were making big moves. Among these funds, Renaissance Technologies held the most valuable stake in IDEXX Laboratories, Inc. (NASDAQ:IDXX), which was worth $282.1 million at the end of the third quarter. On the second spot was Arrowstreet Capital which amassed $90.7 million worth of shares. Moreover, GLG Partners, Chilton Investment Company, and AQR Capital Management were also bullish on IDEXX Laboratories, Inc. (NASDAQ:IDXX), allocating a large percentage of their portfolios to this stock. Due to the fact that IDEXX Laboratories, Inc. (NASDAQ:IDXX) has witnessed a decline in interest from the aggregate hedge fund industry, it’s safe to say that there lies a certain “tier” of money managers who sold off their positions entirely by the end of the third quarter. Interestingly, Lei Zhang’s Hillhouse Capital Management said goodbye to the biggest stake of the 700 funds followed by Insider Monkey, valued at close to $8.3 million in stock, and Glenn Russell Dubin’s Highbridge Capital Management was right behind this move, as the fund cut about $4.2 million worth. These bearish behaviors are intriguing to say the least, as aggregate hedge fund interest was cut by 2 funds by the end of the third quarter. Let’s now review hedge fund activity in other stocks similar to IDEXX Laboratories, Inc. (NASDAQ:IDXX). These stocks are Hartford Financial Services Group Inc (NYSE:HIG), Ameren Corporation (NYSE:AEE), W.W. Grainger, Inc. (NYSE:GWW), and Arista Networks Inc (NYSE:ANET). This group of stocks’ market values resemble IDXX’s market value. As you can see these stocks had an average of 24.75 hedge funds with bullish positions and the average amount invested in these stocks was $664 million. That figure was $784 million in IDXX’s case. 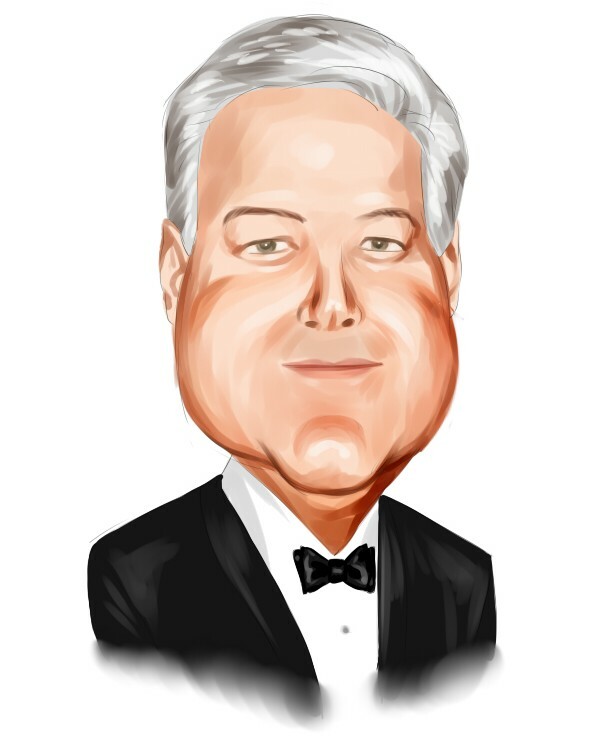 Hartford Financial Services Group Inc (NYSE:HIG) is the most popular stock in this table. On the other hand Ameren Corporation (NYSE:AEE) is the least popular one with only 23 bullish hedge fund positions. Compared to these stocks IDEXX Laboratories, Inc. (NASDAQ:IDXX) is more popular among hedge funds. Our calculations showed that top 15 most popular stocks among hedge funds returned 19.7% through March 15th and outperformed the S&P 500 ETF (SPY) by 6.6 percentage points. Hedge funds were also right about betting on IDXX, though not to the same extent, as the stock returned 16% and outperformed the market as well.